We’ve waited all year to share our sweet pumpkin spice recipes with you. Now that summer has come and gone, we are excited to welcome the festivities and flavors of the fall season. What better way to celebrate than sharing our favorite fall-inspired recipes that include flavors like pumpkin, apple, caramel, pear, and other autumn flavors. Like most (some?) people, we’re obsessed with everything and anything pumpkin! So we’re starting with our most popular sweet pumpkin spice recipes just in time for pumpkin season. Next week will be more savory pumpkin dishes. Dessert comes first, right? Enjoy! 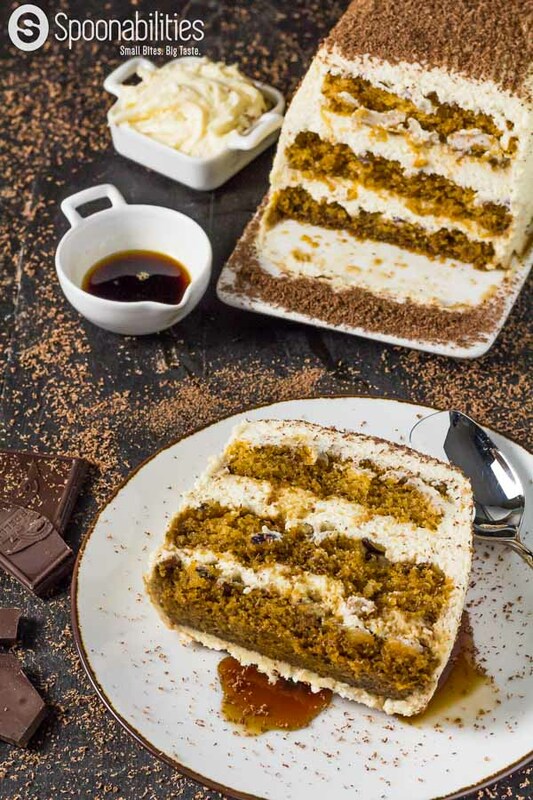 The BEST Pumpkin Tiramisu Cake Recipe with Pumpkin Spice Mascarpone Cream. This airy and fluffy cake is not only the most popular of our sweet pumpkin spice recipes, it’s also our most popular dessert recipe to date. 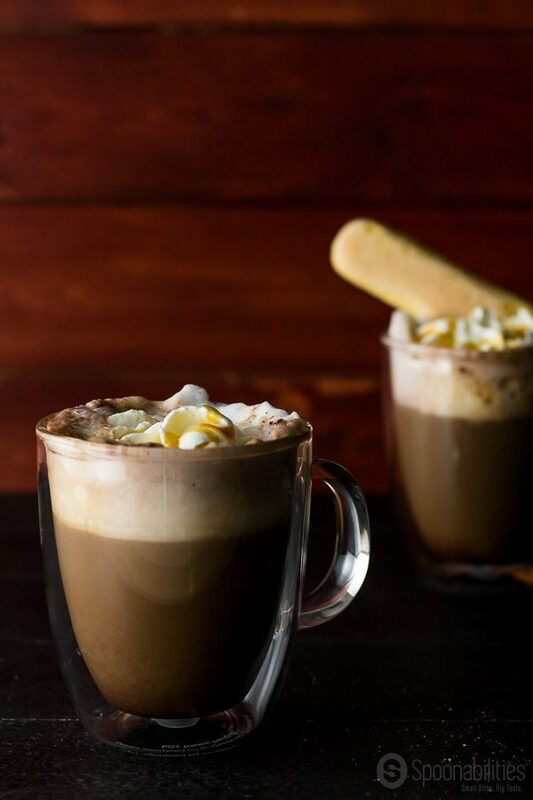 Super rich, thick, and decadent authentic Spanish Hot Chocolate. If that’s not tempting enough, this dreamy drink is topped with Pumpkin Spiced Syrup. 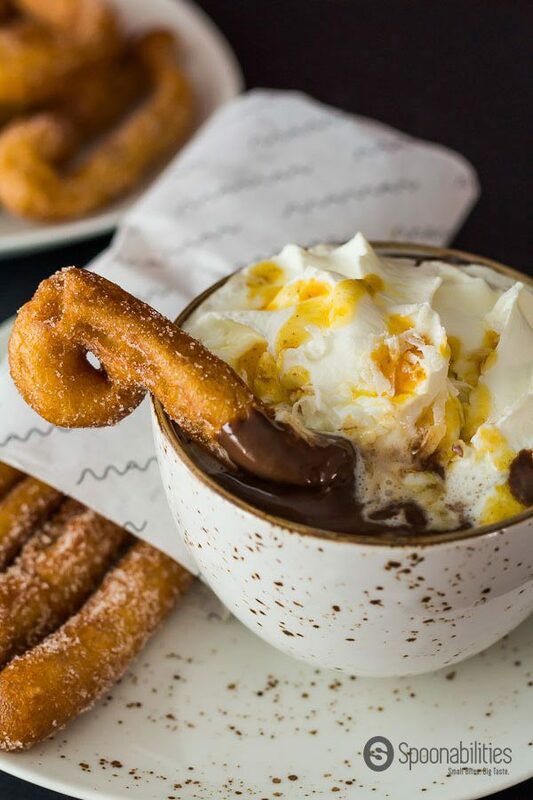 You must try it with sugary CHURROS. Yes! I made Churros too! 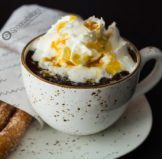 So rich and creamy it’s a pumpkin spice dessert in a mug. 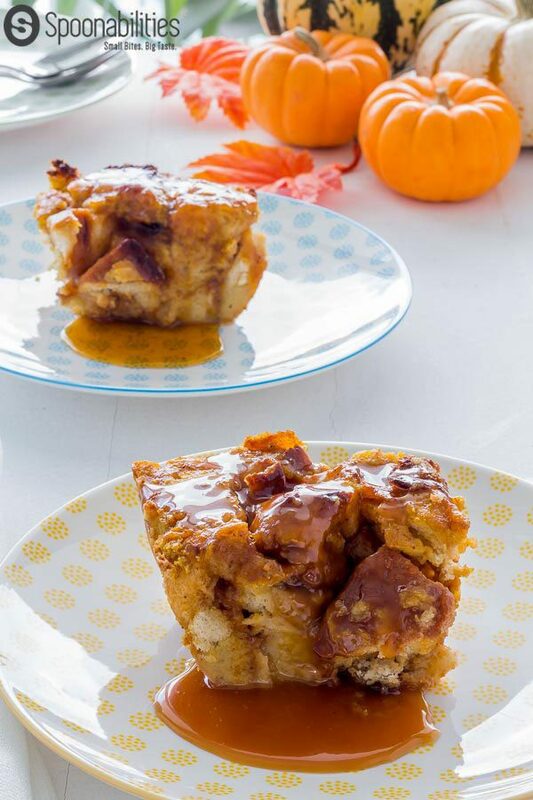 This Pumpkin Bread Pudding is the ultimate recipe card in your box of sweet pumpkin spice recipes, and the perfect way to celebrate Pumpkin Season! 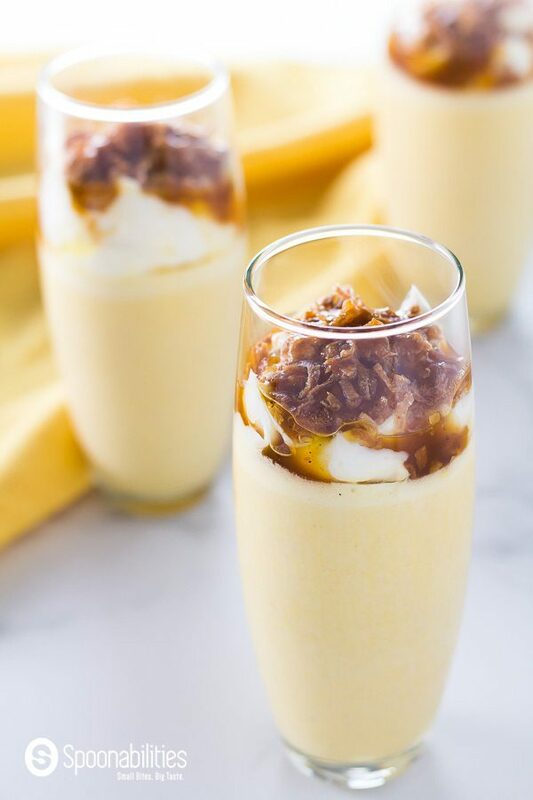 Top the pudding with either Salted Caramel Sauce or Pumpkin Spice Syrup … or BOTH! It sounds fancy and complicated to make. 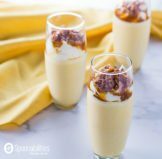 Yes, it is so fancy, but it’s a quick pumpkin spice dessert that you can “throw together” with just a few ingredients. Panna Cotta is creamy, smooth, light, requires no baking, and is so easy to make. 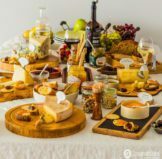 You will impress your guests for sure. They will think that you purchased this dessert from a restaurant. 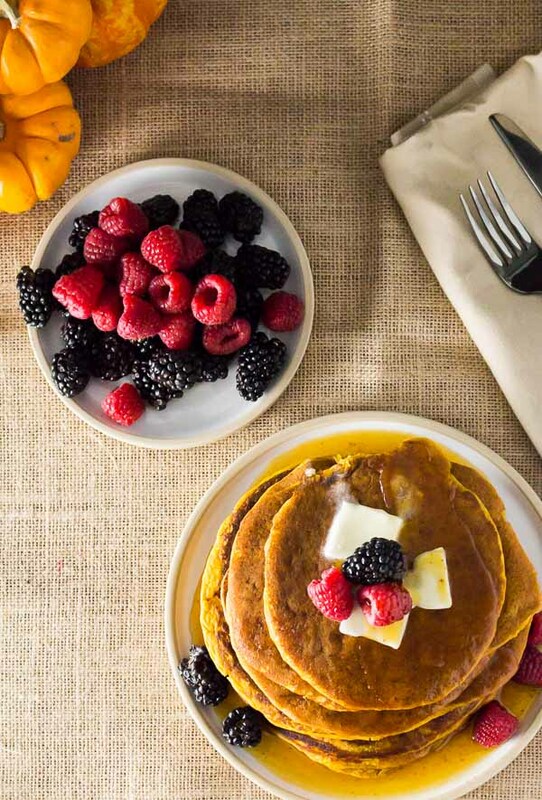 Surprise your partner with a breakfast of Dominican coffee; Prosecco with orange juice; and light and fluffy Spiced Pumpkin Pancakes with some fresh blackberries & raspberries. Pure heaven! If you are looking to bring one of your sweet pumpkin spice recipes to your next Thanksgiving dinner or holiday party this Fall, this is a great option. This cake is so moist and sweet yet not too sweet. Pumpkin Magic Cake reminds me a lot of a Dominican dessert called Pan De Batata (or sweet potato cake). 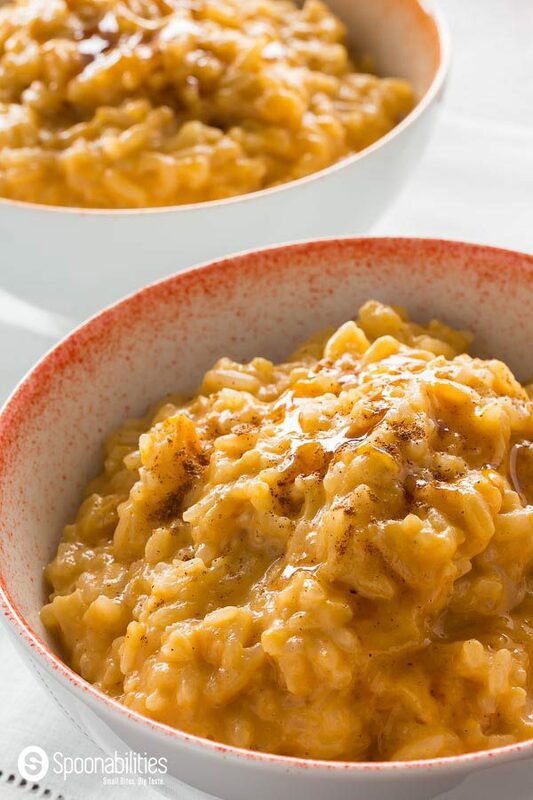 You will LOVE this Pumpkin Rice Pudding recipe with coconut milk & pumpkin spice syrup for a delicious breakfast or dessert. It is packed with the season’s flavors: pumpkin, cardamom, cinnamon, and toasted coconut flakes. Now you can have a Pumpkin Spice Mocha all year round! You can make it at home with Pumpkin Spice Syrup – our favorite gourmet product from Blackberry Patch. This hot or cold drink recipe is so easy to make, so skip the trip to Starbucks! We hope you enjoyed these recipes. Let us know which one you plan to make for your friends and family. Wow! Such a great collection of all things pumpkin! Can’t wait to try some of these delicious treats! Thanks Denisse. Do try some of them out, and let us know what you think. Next week we’re sharing our savory pumpkin recipes. Keep an eye out for them. Pumpkin bread pudding? I am so down with that. I don’t love it when summer ends but I welcome fall when I get to make some pumpkin recipes as delicious as these! 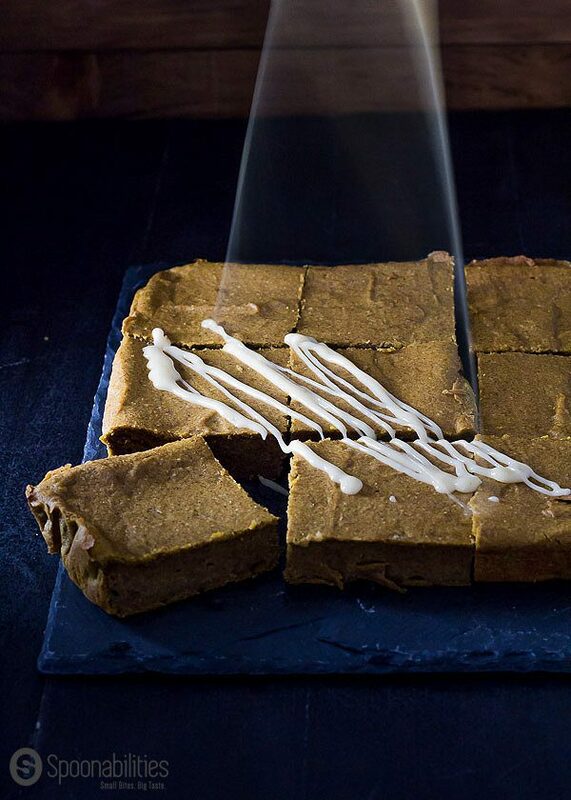 Yep, you read that right… Pumpkin Bread Pudding. With a site called Seasonal Cravings, I’m sure you are all about the pumpkin recipes too. How did you know I was going to make these? 🙂 There really is a great variety and they look so good! Thanks Ginny. We would love to see which recipes you make this season. Send us some pics! Can’t wait to start with all the pumpkin recipes!! That pumpkin tiramisu looks DEVINE! Thanks for coming over today Iman. Yes, the pumpkin tiramisu is awesome. Did you click over to that recipe? Absolutely Agata. Let us know what you make from it. Oooh these look so good! My go to is always mini pumpkin muffins with cream cheese frosting but I think I need to give those pancakes a try! OH I know what you mean. I’m in Starbucks pounding on the door come September 1 for the ones they have. We’re going to make a carrot-pumpkin muffin soon with cream cheese icing. I didn’t know that there is such an abundance on recipes with pumpkins. It looks delicious! I’ve got to buy some pumpkins! Hi Marcelle. Yes there are soooo many recipes that use pumpkin. Go get some! We are working on a post of 9 savory pumpkin recipes. Sign up for our “Tasty Happenings” foodletter and we’ll make sure you get them. This is great, I actually saw this pin on pinterest and pinned it. These are such great recipes for the Fall. I’m so happy it’s finally Fall! I want to try every one of the recipes you posted! Hi Mary. Please do. Let us know which one you try first and send us a picture. Happy Fall Season!! I’m so glad it’s fall and pumpkin spice everything is starting to show up again! I love the look of that tiramisu – can’t wait to try the recipe out. Hi Ali. Yes, we love the fall season and pumpkin spice everything too. Send us some pictures of your tiramisu cake!! I am not a fan of anything pumpkin, but you made this sounds very delicious. I need to try it, right on time for pumpkin season. Hi Armelle. I’ve heard there are people out there in the world that don’t like pumpkin. nice to finally meet one. LOL. Give one of these recipes a try. You’ll be hooked. Well, I don’t know which one I’d like to try first, but I’m very attracted to that tiramisu! Mascarpone is so delicious, and I really want to improve my dessert-making skills! Outstanding list! I have to be honest. Any of those options are outstanding but Tiramisu is your best choice and you will love it! btw… I love how you have the photos on the homepage of your site. Yummy, I have already got on the bandwagon and have made and purchase pumpkin spice ideas. It has to be one of my favorite times of the year. I will have to make these recipes soon. I love this time of the year too. There are endless possibilities with pumpkin ideas. 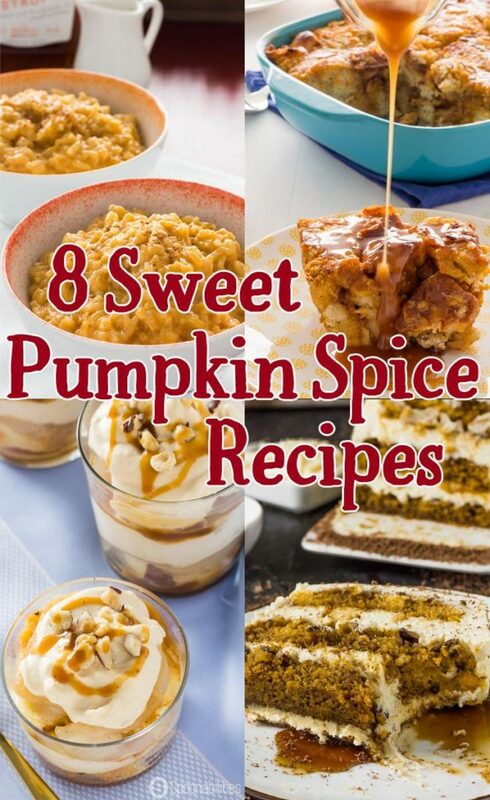 So many great pumpkin recipes here. The return of pumpkin spice makes the transition to autumn so much easier! Thank you, Kate:) Pumpkin spice definitely help to make the transition much easier! Yes! Yes and Yes! 🙂 My mouth is watering here! Me too Julia!. Every time I see each of these recipes my mouth is watering. Gimme ALL the pumpkin things! I have gone to heaven right here on your blog. What a glorious collection of pumpkin goodies. I’ll just be over here cooking/baking every single one of these, thanks! Thank you so much, Kristine! We are glad that you like our recipes. Let us know which are your favorite ones! 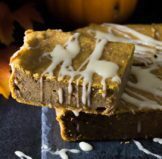 I think I gained ten pounds just reading these amazing pumpkin desserts! I just love fall desserts!!! Nicole, we actually gained 10 pounds making all those pumpkin desserts. Seriously! I don’t really care for anything pumpkin but your pumpkin coconut pana cotta sounds delicious and it looks so pretty. I must try it! Hi April, I’m very confident if you try it, you will love this pana cotta! I just want to eat them all – especially that tiramisu cake! Love how pumpkin is so versatile and can be used in so many dishes! Hi Bintu, love to see you again around here. The tiramisu cake is a MUST try!!! Since I started the blog, I discovered that pumpkin has unlimited possibilities. I’m thoroughly enjoying the pumpkin season.